The Lady Tigers opened up the second day of the Challenge in Music City, taking on the Wisconsin Lady Badgers. And although the Lady Tigers fought hard, they ended up getting the short end of the stick, losing to the Lady Badgers 58-53. The Lady Tigers opened up the game with a 9-2 run, keyed by senior forward Tia Wooten. The Lady Badgers would answer back, but both teams were ready to go, ended the first quarter tied at 14. 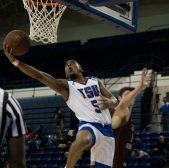 TSU was in the game and battling the Lady Badgers, but then the second quarter happened. 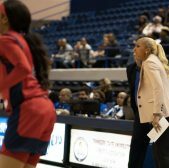 The Lady Tigers would go 1-15 from the field in the quarter, only scoring five points total and not getting their first points of the quarter until the 4:44 mark. The Lady Badgers, on the other hand, would dominate the second quarter, scoring 17 points and taking a 31-19 lead to halftime. With this big a lead, the Lady Tigers could have come out after halftime and laid down, but that would not be the character of this Lady Tigers team. The Lady Tigers clawed their way back into the game. erasing a 12 point deficit in the third quarter. The Lady Tigers' surge was led by sophomore guard Taylor Roberts with 16 points in the quarter. "In the huddle at the end, we do a chant at the end of every game, 'We win together. We lose together. We stay together.' And she (Taylor) said 'I'm going to need you tomorrow guys.' And the team said 'Hey, we got your back.' And then she totally shows up." said Coach Kern of her star sophomore. 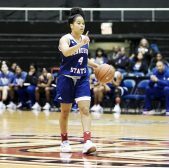 The Lady Tigers would continue to fight in the fourth quarter, getting big shots from senior guard Asia Sims, senior guard Lauren Elliot, senior Tia Wooten and Roberts. Unfortunately, the Lady Badgers were able to do just enough to hold off the Lady Tigers, winning the game by five points and getting some key buckets from Marsha Howard and Alex Luehring late in the game. When asked about her team, Coach Kern was very enthused by their performance. "I am so extremely encouraged by this team. We go in the locker room and their chanting 'We believe.' And we know we are one step away. We are one step away from turning the corner." 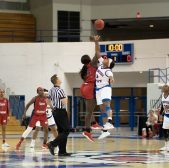 The Lady Tigers were led in scoring by Roberts with 25 points followed by Tia Wooten with nine points. 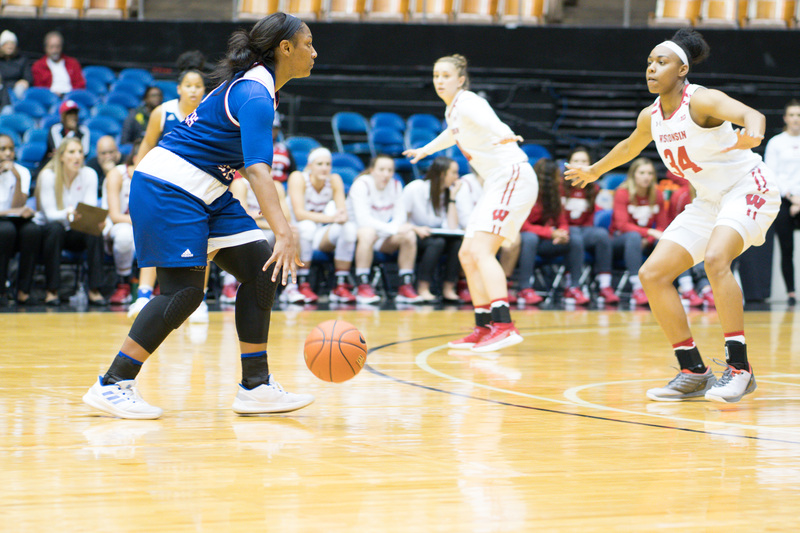 The Lady Badgers were led by senior Marsha Howard with 15 points. The Lady Tigers fell to 0-6 with the loss and will conclude the Challenge in Music City this afternoon versus the Pittsburgh Lady Panthers.